But in 1996 Beverley, then in her early 30s, was diagnosed with Bowen’s disease, an early form of skin cancer. 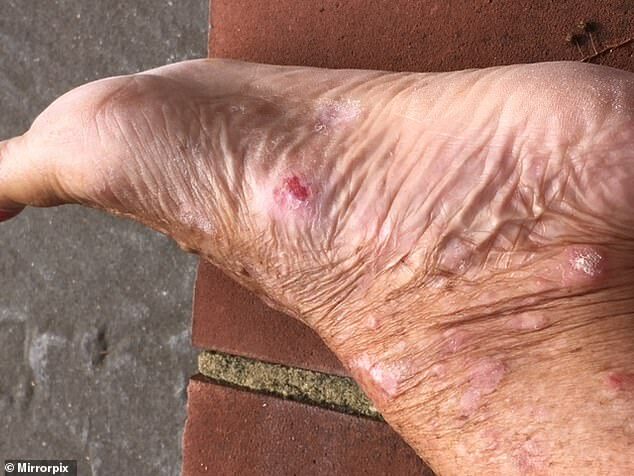 In the years since she has endured regular courses of invasive, painful treatment which have left her with 'agonising' welts and sores on her legs. 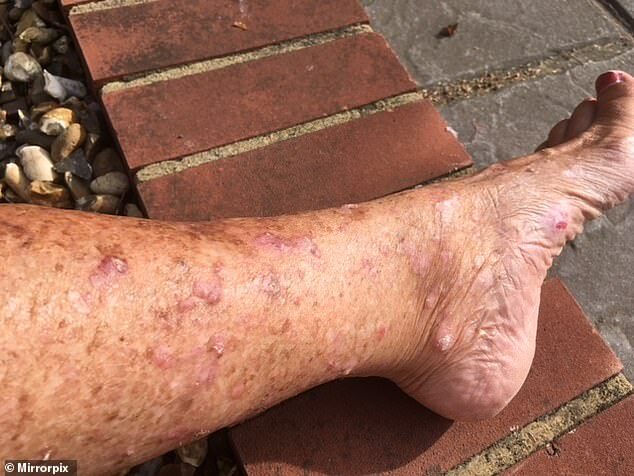 Beverley has also been told she has the skin of an 85-year-old.Now she is speaking out in the hope of warning other women against the dangers of tanning and urged them to stay covered up in the sun. 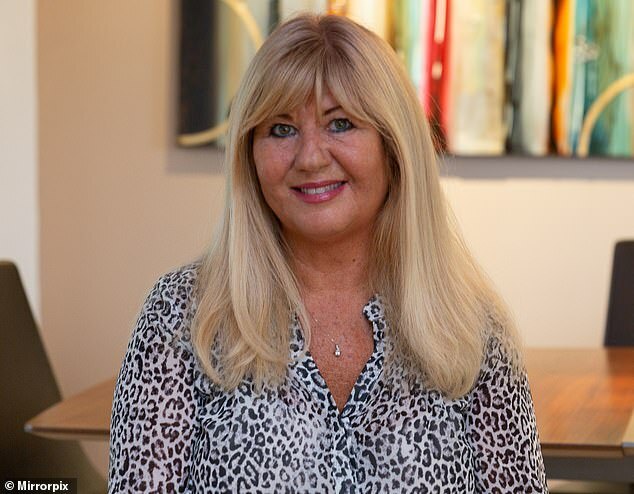 Beverley, who lives Hemel Hempstead, Hertfordshire, with her partner Russell Hipkiss, recalled how she once modelled for a sunbed company and was offered a free one to take home in exchange for her services. The former Miss Merseyside beauty queen admitted she did not understand the dangers of the device and would regularly use it at the family home on The Wirral. However Beverley said she now wishes she had understood the dangers and had taken better care of her skin. 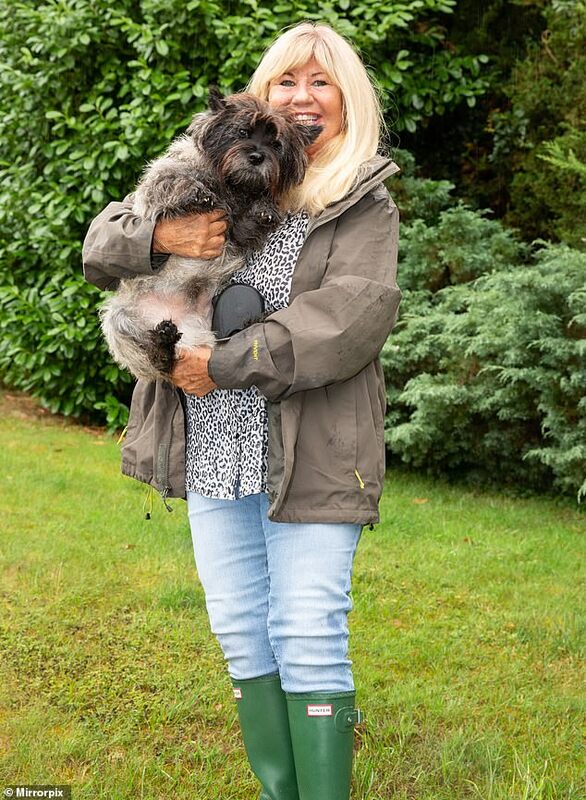 In the 22 years since her skin cancer diagnosis, Beverley has tried a range of treatments to keep the disease at bay and stop it from spreading. 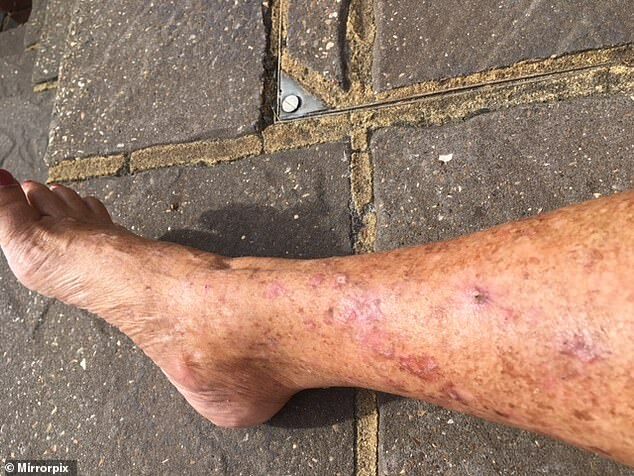 The former model told how she has undergone painful skin grafts that have left her legs looking like a 'patchwork quilt' with 'terrible' scarring. She is currently undergoing photodynamic therapy which uses light sources with a light-sensitive drug to destroy cancer cells. She explained one of the side-effects is that she has been left with painful blisters that make her feel 'unattractive'.